Thursday, September 28, 2017 AFASG17, anime festival Asia, Anime festival Asia Singapore, i love anisong. C3 Anime Festival Asia (C3 AFA), formerly known as Anime Festival Asia, returns to Singapore with an upgraded experience of the latest content and announcements, performances and more. Held over 24 – 26 November at Suntec Singapore Convention and Exhibition Centre, the three-day extravaganza is the highlight of the region’s top Japanese Popular Culture and anime festival. SOZO, headquartered in Singapore and the organiser of Anime Festival Asia events, announced a collaboration in March 2017 with Japan’s Sotsu Co., Ltd, organiser of C3 events, to create “C3 AFA”. In addition to bringing new content to both Singapore as well as overseas festivals, the partnership extended the festival beyond South-east Asia. 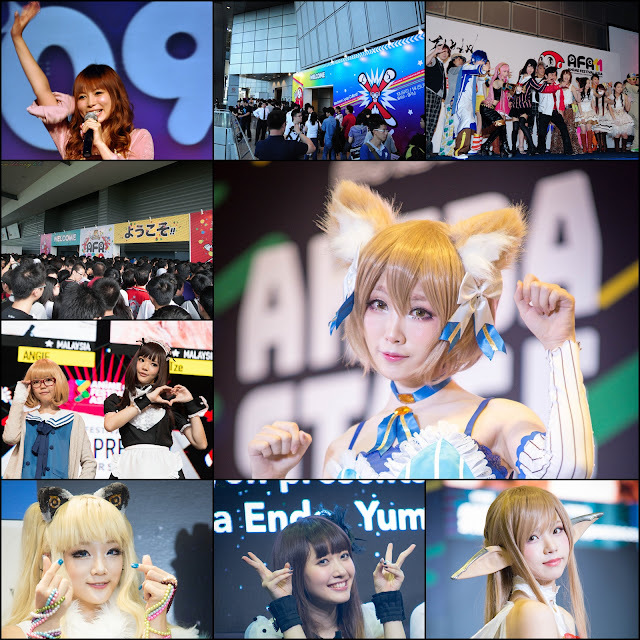 C3 AFA brought the festival to Bangkok, Jakarta and Tokyo (30,000 event attendees in Bangkok, 50,080 in Jakarta and 47,000 in Tokyo) in 2017. The festival will also visit Hong Kong in February 2018. The 2016 edition of Anime Festival Asia, covering three countries, saw over 210,000 event attendees (94,000 in Singapore, 62,000 in Indonesia, 55,000 in Thailand). “With this being the 10th time we are holding the festival, this year’s C3 AFA Singapore 2017 marks a new milestone for the festival. C3 AFA is supported by key Japanese Entertainment & Contents Industry players, and promises direct commercial support from the industry in Japan. Listening to customers and staying in tune with what’s in trend, and what fans are looking for, C3 AFA Singapore 2017 will continue to innovate, and set benchmarks for future events in Singapore and the region. Just like previous years, we will continue to invite a wide selection of top quality guests and performers direct from Japan, pushing the envelope year on year,” said C3 AFA Organiser Shawn Chin, and SOZO’s Founder and Managing Director. Organised by Singapore-based SOZO and Japanese entertainment powerhouses Sotsu , Dentsu, Zepp Live, and Amuse, C3 AFA Singapore 2017 will include three main components – the Exhibition Hall, the Main Day Stage, and the I Love Anisong concerts in the evenings. From blockbuster titles, stage segments with celebrity artistes and voice artistes, exclusive content and merchandise direct from Japan, as well as a showcase for local content creators, the festival offers something for everyone. More details of the festival schedule and offerings will be shared closer to date.